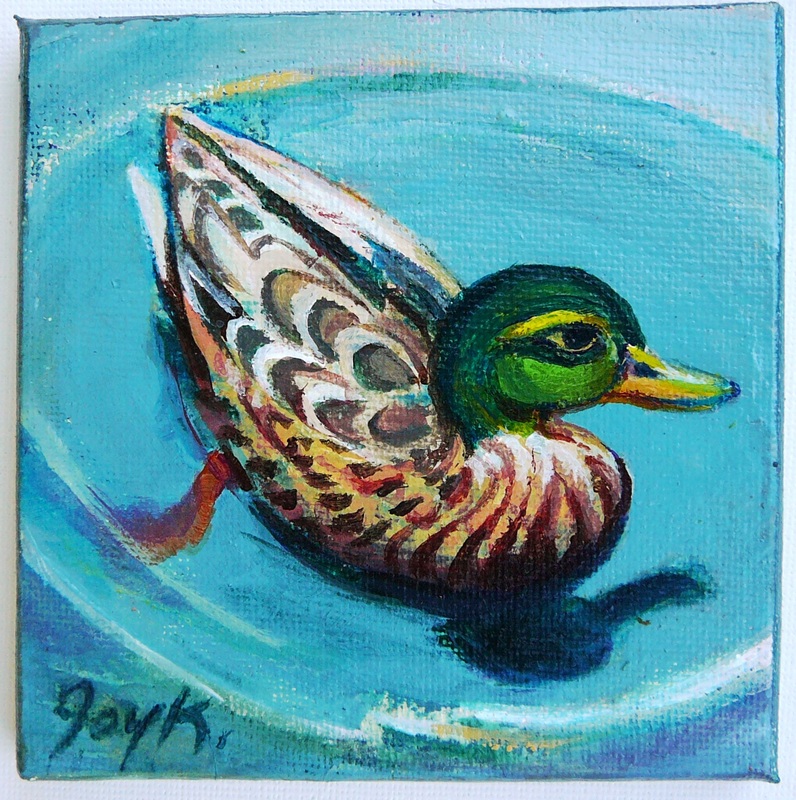 This week my adult acrylic painting class at Place des Arts begins. There is also a call out to their annual Positively Petite Show that I am thinking of entering. 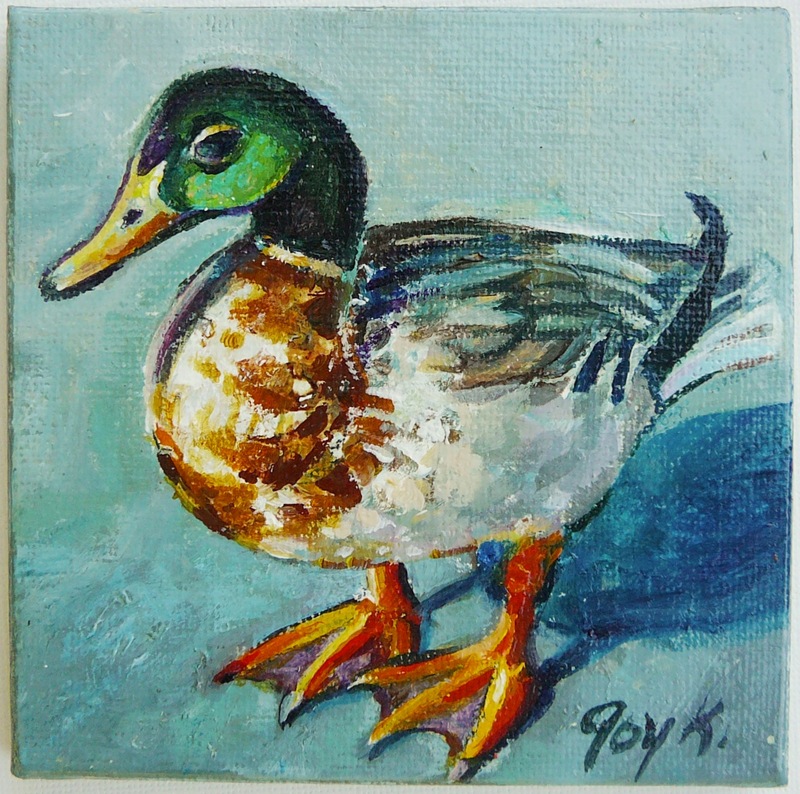 Keeping those two things in mind I spent part of last week painting two 4″ X 4″ acrylic works of mallards taken from photos from a trip awhile back to South Carolina. It’s been an interesting project and keeping to such a small scale has it’s own challenges. These small works help set my mind to teaching as well as all elements needed for an effective art piece are present: value, texture, colour, composition, mood, etc.